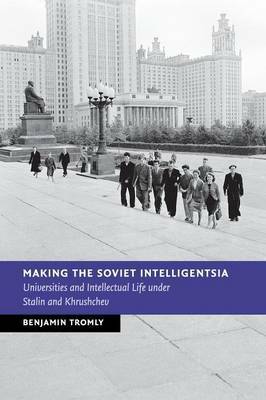 Making the Soviet Intelligentsia explores the formation of educated elites in Russian and Ukrainian universities during the early Cold War. In the postwar period, universities emerged as training grounds for the military-industrial complex, showcases of Soviet cultural and economic accomplishments and valued tools in international cultural diplomacy. However, these fêted Soviet institutions also generated conflicts about the place of intellectuals and higher learning under socialism. Disruptive party initiatives in higher education - from the xenophobia and anti-Semitic campaigns of late Stalinism to the rewriting of history and the opening of the USSR to the outside world under Khrushchev - encouraged students and professors to interpret their commitments as intellectuals in the Soviet system in varied and sometimes contradictory ways. In the process, the social construct of intelligentsia took on divisive social, political and national meanings for educated society in the postwar Soviet state.